Okay, okay, we already knew that the habitual afternoon diet drink wasn't doing us any favors. 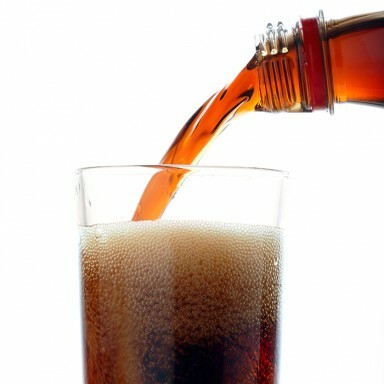 Packed with ingredients like aspartame, sucralose, and saccharin, diet soda pumps your body full of artificial chemicals. A recent study from the University of Iowa even found that aspartame (the amount you'd get in two diet sodas a day) dramatically ups the risk of heart disease in women. But since the low-cal version subs in these artificial sweeteners for real sugar, diet is at least the better option for your waistline, right? Wrong. Despite zero calories, diet drinks may actually encourage you to consume more calories than you otherwise would, according to a new study. Researchers at the University of Illinois found that diet drinkers overcompensate for the lack of calories in their beverage by noshing on extra food—often dishes that are loaded with extra sugar, sodium, fat, and cholesterol—throughout the day. In fact, diet drinkers consumed an average of 69 more calories a day. Sixty nine calories a day may not seem like a ton, but that slow creep will add up to an extra seven pounds a year—yikes! These findings back up a study released earlier this year from the University of Texas. In fact, researchers found that diet soda drinkers were 70 percent more likely than regular soda drinkers to have a larger waist circumference over 10 years. Drink two a day and that number skyrocketed to a whopping 500 percent—double yikes! The exact mechanism behind why drinking diet soda leads us to overeat hasn't been determined yet, but researchers speculate that it has a lot to do with our perception: Drinking diet feels like a healthier choice, which keeps us from feeling guilty if we reach for the fries instead of the crudites later in the day.